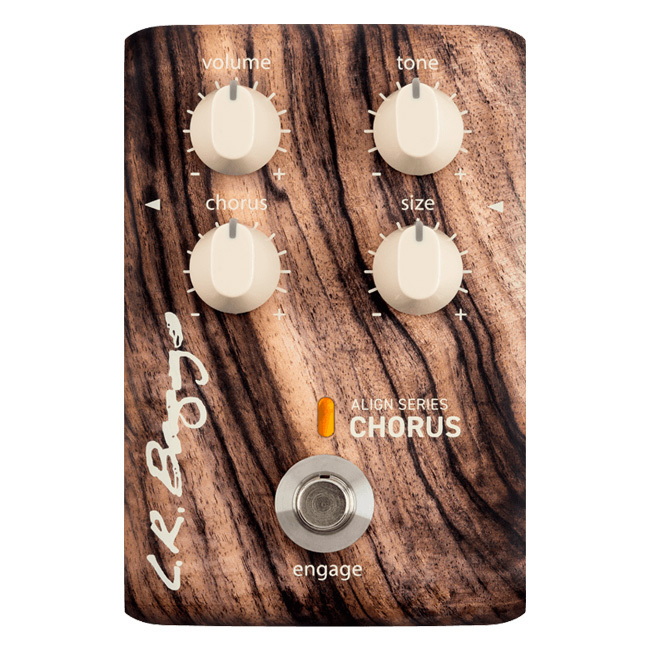 Just in time for NAMM this year, LR Baggs announced two new additions, a chorus and delay, to its Align Series of pedals made specifically for acoustic musicians. The new additions are joining a suit of effects that already includes a reverb, an active DI, EQ, and a compressor/saturation/EQ hybrid called the Session. First up in the video above, Joe is checking out the new Chorus. Engineered specifically for acoustic guitars, this pedal is a good deal more subtle than the chorus effects you might be used to if you also play electric guitar. Instead of really saturating your signal and engulfing your tone in the effects, the LR Baggs Chorus serves more as a side chain effect that adds a lot of fullness, depth, and hints of chorus to your tone without devouring it. One of the coolest features of the pedal is its special "size" knob that works by blending together two different chorus voicings—a smaller and larger one to give a lot of depth and detail to your sound. As Joe explains, "It's pretty cool, the detail that you can get with this. Again, instead of engulfing your tone, it kind of sounds like there are more instruments being layered onto your playing." Next up, Joe checks out the new Align Series Delay, which Joe says right off the top is super straightforward. "LR Baggs has done a cool job of blending dark, analog-sounding delays on, all the way to bright, more clear digital-sounding delays. So the tone knob has a lot of magic going on in it." 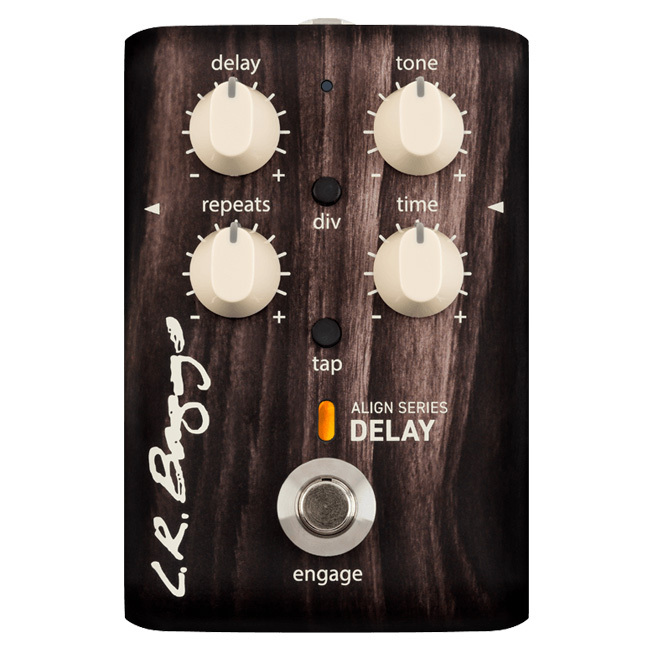 Alongside the tone knob, players will find a slew of familiar delay controls including delay, time, and repeats. There's also a switch on the face for tap-tempo, as well as a place in the back for connecting an external pedal for tap-tempo function. Above the tap-tempo switch is the divide button, which takes your tempo and makes it a dotted eighth delay. Both of the new Align Series pedals are set to ship next month, so be sure to check back soon to order your own. And follow along with our coverage of the NAMM 2019 convention in Anaheim by clicking the banner below.